While we await the situation in Virginia to be resolved, the trivia question is … Who was the last Democratic governor who resigned his or her office because of a scandal? Last week’s trivia question was: What sitting mayor got the most primary votes in his or her bid for the presidency? The answer? 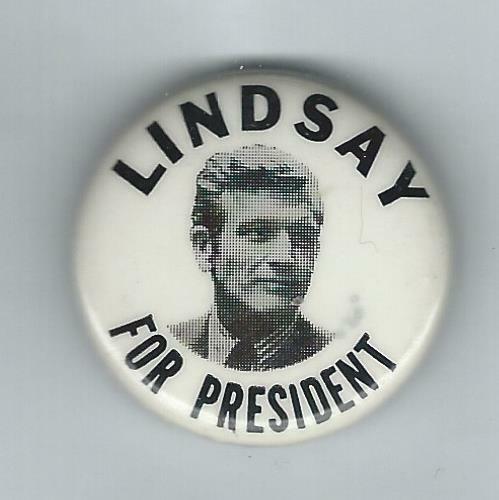 John Lindsay. The mayor of New York City, he won 196,406 votes in the 1972 Democratic primaries. But he was never a factor in any of the contests and dropped out in April after a 6th place showing in Wisconsin. The randomly selected winner is … Danny Davis of Richmond, Ky. Danny wins the coveted Political Junkie button.